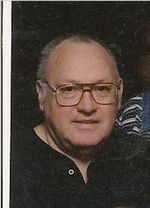 Charles R. Briggs, age 69 of Ashland, OH., passed away Friday, October 9, 2009 at Hospice House of North Central Ohio. On June 30, 1940 in Woodsfield, OH., Mr. Briggs was born to the late James and Kathryn (Kahrig) Briggs. He had been a resident of Ashland most of his life retiring in 2004 after 25 years employment for Packaging Corp. of America. Formerly Mr. Briggs worked 8 years with the Ashland Police Dept. He was a veteran of the US Army serving from 1963 to 1969 and was a member of Pleasant Valley Lutheran Church and Ashland American Legion Post #88. On February 11, 1967, Mr. Briggs married Linda Gault who survives. Also surviving are 2 daughters and sons-in-law: Stacey (Scott) Dillard of Polk, OH., Michelle (Johnny) Lima of Orange City, Florida; 5 grandchildren: Adam, Eric, Ryan Dillard, Charlie and Emily Lima; 1 brother and sister-in-law: James R. (Donna) Briggs of Ashland; and a sister, Norma Briggs of Ashland. Mr. Briggs was preceded in death by his parents and a sister, Barbara Whisler in 1976. A graveside service will be held 2:00 pm Monday, October 12, 2009, at Ashland Co. Memorial Park, 1058 State Rte #250 N., Ashland, with Pastor Deb Michaels officiating. Military honors will be presented at the cemetery by the Ashland Veterans Honor Guard. Friends may visit with the family Sunday afternoon from 1:00 to 3:00 pm at Heyl Funeral Home, 227 Broad St., Ashland, OH. The family suggests memorial contributions may be made to Hospice of North Central Ohio, 1050 Dauch Dr., Ashland, OH., 44805.